. 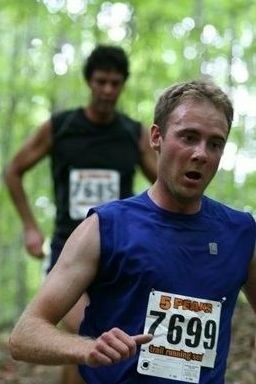 : Cross Country Running: To Be Cherished :: Ski XCOttawa.ca :: Skiing in Ottawa and Gatineau Park :. Cross country running has been on my mind lately. It’s cross country running season, after all. The mornings are cool, the leaves are turning orange and crimson and the ground will be muddy soon. If I were as young as I wish I were, cross country running practices would have been happening for the past several weeks, and the first race of the season would be fast approaching. Cross country running has many virtues. For some, being a member of the cross country running team makes having to attend high school ALMOST worthwhile. It is among the most pure, primal and punishing athletic events available. For sure, I chose cross country skiing as my favourite sport, but cross country running has a lot going for it. Its very basic nature reminds us of why we bother with sport at all, namely, to challenge ourselves. Cross country running requires no particular equipment, training, or venue. All it really requires is a willingness to run, and at higher levels, to endure sometimes unfathomable amounts of self-induced torture. It is probably, to some degree the result of the simplicity of the endeavour that cross country running races usually manage to maintain a slightly more relaxed and jovial atmosphere than say, 400m track heats. There is a sense that completing the prescribed course as fast as possible is a worthy accomplishment, regardless of how many people manage this faster or slower than you do. At its best, cross country running is actually a TEAM sport. This brings an interesting element into the game. No matter how far back in the field you are running, there is a certain amount of self-directed pressure not to let any more people from other teams cross the finish line before you do. The old talk about how you didn’t really care whether you placed 45th or 46th is not applicable when placing 46th might mean that your team comes 2nd instead of first. The fact that it is a team sport usually means that you spend a fair amount of time training with your team mates as well. Running hill repeats on muddy slopes in cold rain is definitely a little more tolerable this way. As an aside, and given the above, I can not understand how cross country running is not an event at the Olympics. I won’t re-iterate all the great things about the sport as listed above, but I will say that it seems like one of those “fundamental” sports that definitely should be on the list. Cross country running is great for cross country skiers. Physiologically speaking, there are some quite similar challenges in the two sports. Sure, the upper body is not really employed, but it doesn’t always have to be either. Mentally speaking, cross country running is a chance to push yourself without having to think too much about things like technique or equipment. While some would argue with me, some others would agree that a cross country running race is simply more fun than a roller ski race. The only things wrong with cross country running don’t have much to do with the sport itself. One problem is the lack of cross country running races outside the school/track club settings. It seems that everywhere you look there are “extreme” trail running races (which, understandably, do not appeal to some people, particularly those prone to injury), and road races, which, despite their drawbacks (mainly, monotony and unforgiving surfaces) manage to attract thousands of people. Even when there are cross-country races, usually the fields are small. For those in school, I advise you to cherish your days as a cross country runner. For those not in school, I would urge you to encourage race organizers to put cross country running races on, and to thank the ones that do (Thanks, for instance, to the NCRA for putting on the Jim Howe Memorial Cross Country race every year in late October. Click here for race details. Karl racing at the 5 Peaks Trail Running Series race. Athlete Diary: Kicking off the new year right!